A selection of red wine aromas from the Master Kit. These 12 aromas/reference molecules are directly linked to the molecular composition of red wine. 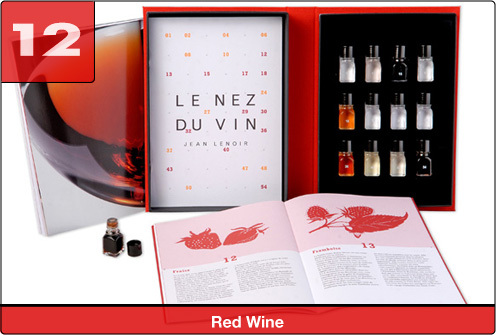 They enable the 12 most common aromas found in red wine to be memorised and identified. Memorising these aromas provides an accurate and coherent vocabulary to further stimulate our appreciation of fine red wines.